Dorm life is absolutely different from the time when you lived in your parents’ house. Although it is a real fun to have your own private space, you should also take measures to prevent your new way of life from becoming a nightmare. Find out the wash cycle. Now it is high time to find the best way and time to do laundry. When you wash your clothes, pay attention to cleaning instructions on the items. Otherwise, you may spoil your favorite garments. Remember about shower precautions. One of the disadvantages of the dorm life is a shared bathroom. In order to ensure proper hygiene, use your own towel, soap, and flip-flops. Learn a little cooking. You cannot always rely on cafeterias to buy snacks to relieve hunger. You may also try to prepare canned soups, scrambled eggs, and different salads on your own. Organize your clothes. Do your laundry on time. Also organize your garments in a drawer, so that you have enough space. If you are not good at it, you may watch some closet organization tips on YouTube. Find places for storage. Your dorm room is small, but still you have to store a lot of things. Buy bed risers and keep your stuff there. You may also purchase a standing bookcase to have place for all your studying stuff. Split cleaning responsibilities. Living on campus does not mean that someone will clean your room for you. Now it is the responsibility of the inmates. So, make a cleaning schedule together with your roommate and keep up with it. 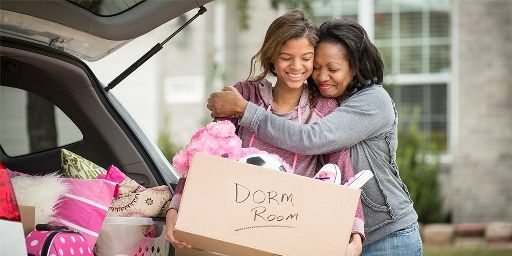 These are the basic college tips for those living on campus. Stick to these rules and you will definitely enjoy living an independent life in your dorm room.